The institution grew so strong that Angadia became a surname in Gujarat’s Kathiawad region. The unorganised, unofficial transfer route was popular with traders not only because the money was mostly unaccounted (read ‘black’) but also for its reliability, in sharp contrast with what is now derisively called the ‘snail mail’ – the Postal Department (then called P&T – Post and Telegraph). A telegram informing of an event or arrival used to reach long after it was over. Letters, parcels or money orders used to take a fortnight or more. There were stories of postmen dumping (mostly in Bihar) all the letters and parcels into a manhole and playing truant. The contrast began to hurt the government and angadias were being prosecuted for running a ‘parallel postal service’. Eating into P&T’s monopoly, they were considered illegal. What they were doing, however, suddenly became not only legal but also a respectable, thiving business when it assumed an English name: ‘Courier service’. It was ‘desi’ Vs. ‘angrez’. Everyone bowed to them and preferred couriers to P&T. The advent of e-commerce was a boon to them. Recently I realised that I had not received a postal letter or been to a post office for many years. Forced to visit a one, I had to ask scores of poeple to be directed to the area post office. Most of them did not know. When finally reached, it was far away, in a basement. I was wondering if the Department was wound up. As the courier companies with fancy English names flourished, the quality of their services came down. Delivery on the next day is rare. While complaints of non-delivery made to P&T authorities resulted in at least a semblance of enquiry and action, couriers stopped giving ‘PODs’ (proof of delivery) as they used to, ask customers to use online tracking and ignore complaints. 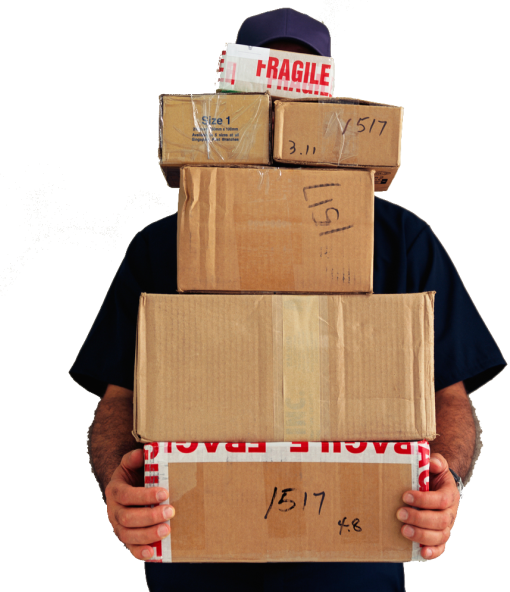 When consignments are not delivered for weeks, the agent washes his hands off, saying the courier company should be contacted. The company does not bother to reply to emails. The telephone numbers provided are not answered. In a foolish attempt to beat the distributor-bookseller gang-up which fleeced writers, I decided to sell my books directly to readers. On a request from Hosur town in Tamil Nadu, almost on the outskirts of Bangalore, I sent sent a book by First Flight Courier Ltd (FFLC) on August 8. Calling the addressee on the fourth day I found it was not delivered. Tracking the number (F991B1676997 – recepient mobile No.9025306488) showed that addressee was not at home, which he said was a lie. The home is in a complex where the security would receive the consignment, according to him. On the fifth day when I visited the courier agent he said it was being delivered that day. 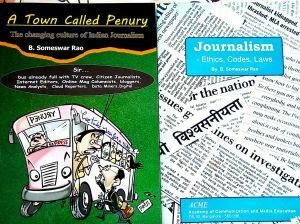 So I sent two more books, one each to Indore in MP (Con. No.F991B1691642,mobile No. 7389334644) and Ernakulam, Kerala (Con. No. F991B1691643- mobile No. 9995802039. When they too were not delivered, the agent gave the Bangalore office number of FFLC. Phoning them was of no use as a woman employee replies she would look into it or gives some lame excuse like Indore having a week-long holiday for Holi (which again was a lie, as having worked in Indore I know it does not, like Kanpur, have a prolonged Holi celebrations). Then she stopped answering calls. Dozens of calls were made and SMSs sent to the agent, the FFCL Bangalore and hosur offices and to the three addressees with no results. E-mails to the Bangalore regional office of FFCL giving all relevant information got stereotyped, system-generated, replies asking someone to “look into” the issue. The person is still looking. The agent refused to return either the books for the exorbitant charges (several times the postal charges). Then I sent the book through another courier. Desk To Desk Courier at HSR Layout, spending on a cab. Explaining the problem with FFCL, I asked the agent to check if DTDC can deliver at Hosur. He checked on the computer, said DTDC had an office there and accepted the book (Con. No. B 35147839), again charging high. Hosur was being called daily for weeks and said it was not delivered. The Bangalore head office of DTDC does not answer telephones (at least the one given by the agent) and emails to it get computer-generated replies asking whether the consignment was handed over to the agent at all. It thinks it is the customer’s duty to ascertain whether it was entered into their system. And still, after months, I am yet to receive an answer from them. The Hosur customer who was sent the book on August 23 received it on September 22 evening — just after the DTDC was sent copy of a letter to an eminent consumer activist and requeting him to file a case in the Consumer Forum. First Flight did not bother to do even that. Could it be a mere coincidence that the delivery took place within hours of the threat, almost a month late? Does it mean that only threats and legal action work with the courier companies in India. Weeks after a letter saying that he parcel was personally handed over at HSR Layout after ascertaining feasibility and that the Hosur agent wqs also contacted, DTDC writes,”It seems that the consignment number provided is not yet booked into DTDC System” (customer’s fault?) and asked me to check if the shipment was really handed overat a DTDC branch or not. All this cost a lot of money. My address and mobile number were provided but they did not bother to reply. The Couriers seemed to say, “Do what you can. We don’t care”. And they would not bother to even say that in writing. Even a threat to take the matter to consumer forum did not bother the two courier companies. Perhaps their legal department would handle it and they know a poor writer or small publisher would not be able to make the rounds of courts. The franchisee agents of the courier companies say they are not responsible and I can complain or do whatever I wan to. Working in Ahmedabad and Mumbai, I never met an angadia with such arrogance. They worked on trust and reputation. Both have no value today. An English name has.